89. 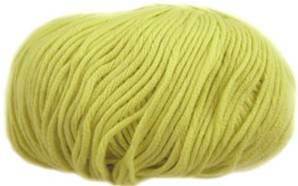 Sirdar Sublime Soya Cotton DK knitting yarn in pastel lime. Machine washable (at 40 degrees) blend of 50% soya and 50% cotton. 50g, 110m/120 yards.